Expo Veneto: Verona and Soave, between Opera, Castles and Italian food! Tapahtuma > Verona and Soave, between Opera, Castles and Italian food! VERONA AND SOAVE, BETWEEN OPERA, CASTLES AND ITALIAN FOOD! Two days of event around our territory, to the cultural, artistic, musical and gastronomic discovery. Visit to the city of Verona and to the medieval village of Soave, between cultural visits and lyric music in a unique setting like the Arena of Verona combined with Italian food. 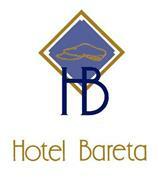 The reference of this two-day tour is “Hotel Bareta”. Starting to discover our territory and the city of Verona. In the morning, with maps, information and the program begins the discovery of Verona. A tourist guide will walk with you across the city of Verona, discovering the most beautiful corners, like its historic moments: the Roman Verona, the Medieval Verona or the Verona of Austrian fortifications. For the lovers of painting you can visit the magnificent cadres in the palace of Gran Guardia (it is in the program of Expo 2015 of Milan). The lunch will be in a typical restaurant of the city centre. In the afternoon the visit will continue in the city with its museums and the guided itineraries. Then you reentry in the hotel for relax and we will prepare for the Opera’s evening in the Arena. The dinner will be with the hotel in an ancient villa where there will also be an aperitif with local producers. With the ticket bought into the hotel you will remain fascinated of the show that offers this theatre unique in the world. The next day (2nd days of tour), after the buffet breakfast in the hotel and with the program, you will visit the city of Soave and its castle. The lunch will be in a winery, with the degustation of Soave wine and the ham raw of Soave. In the afternoon of this day you will visit an historic villa of the area. At the end of the visit, you will see an historic flour-mill. Here you will can buy the typical products and in the evening the dinner will be organized in an excellent restaurant, with a menu that show up the typical and local food and products. It’s possible, also, organize a musical event with music live in a restaurant typical of this zone.